I proudly provide natural birthing services, labor and delivery support, birth coaching, childbirth education, pregnancy lifestyle consulting and postpartum care and support to moms and families in Manassas, Bristow, Haymarket, Gainesville, Warrenton, Centreville, Chantilly, Ashburn, Leesburg, Fairfax, Reston, Herndon, Dulles, McLean, Arlington, Alexandria, Lorton, Woodbridge, Springfield, Stafford Virginia, and all of Northern Virginia. 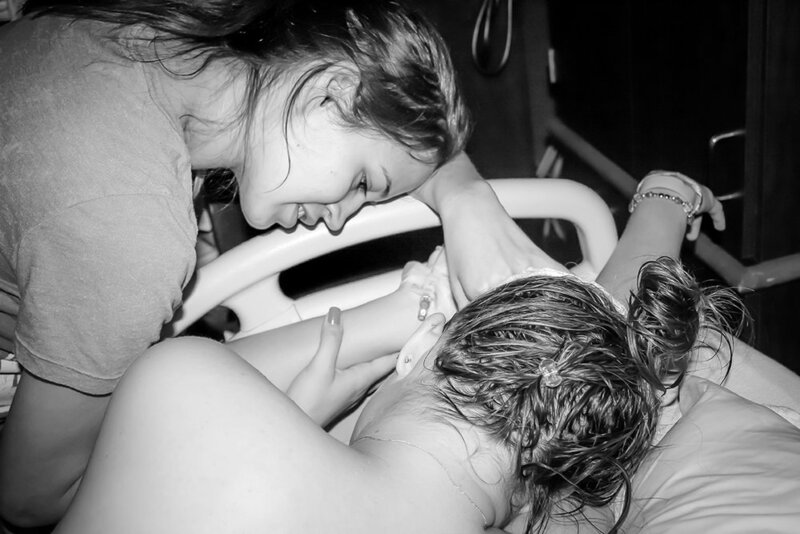 What is a Doula (DOO-lah) Anyway? Is someone who can give professional advice and offer knowledge and support to give YOU the confidence to make the right choice yourself. Is a "keeper of the space"--she advocates for you AND your baby. Helps you find MUCH strength your never knew you had, as well as how to find and use your "inner voice" with confidence. Has never heard or seen anything too "messy." Supports you in EVERYTHING and will listen without judgment. Is a professional, educated, experienced, knowledgeable companion who understands and provides support for the emotional, mental, and physical needs of a woman and her family throughout pregnancy, birth, and recovery. A doula provides ongoing support and care for a woman throughout her entire journey. Is there to support the mama, but also the father and family too! Why is a doula great for your husband? Our husbands are amazing! After all, who knows you like your husband does? But a lot of times, there is much to be expected of him; he is expected to know instinctively how to support you in a situation that he has never been in and he may find this scary, frustrating, overwhelming, or downright weird. This can leave him feeling helpless and unable to properly help or support you. During birth, the doula will work with the husband, if you desire. The doula will enable him to do as much as he wants to or doesn’t want to, offering suggestions that may be helpful to the mama. Doulas also allow the husbands to have a break when they need it. After all, not all labors are "short and sweet!" Still not sure if a doula is right for you? Here's some evidence in support of doulas. Pure Birth Doula Named One of Top 10 Doulas in Fairfax, VA. Call Susie today to discuss your personal birthing plans. Fair Oaks Hospital, Fairfax Hospital, Loudoun Hospital, Novant Prince William Hospital, Reston Hospital, Novant Haymarket Hospital, Alexandria Hospital, Stone Springs Hospital, Fauquier Hospital, Winchester Hospital, Georgetown University Hospital, George Washington University Hospital, Virginia Hospital Center, Culpeper Hospital, Mount Vernon Hospital, Fort Belvior Community Hospital, and more! Prince William County VA, Stafford County VA, Fauquier County VA, Loudoun County VA, Fairfax County VA, Arlington County VA, Washington DC. All material copyright © Pure Birth Doula, 2017.